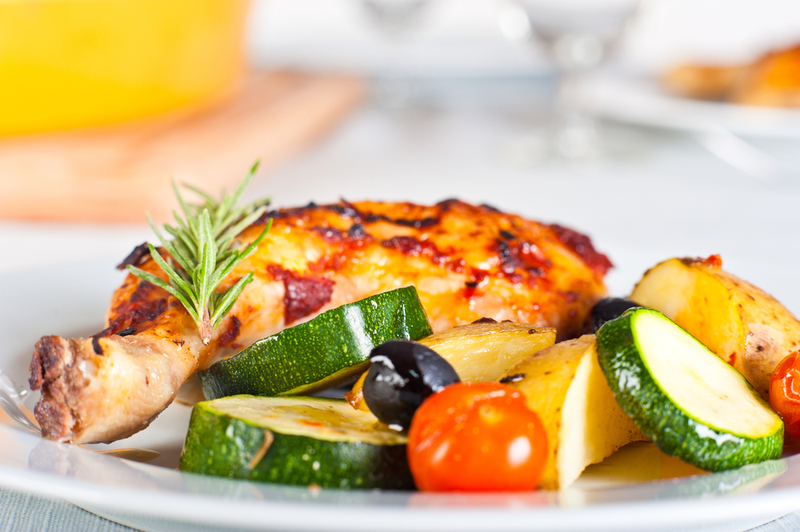 Summer means light dinners, it means barbecues with friends or picnics with the family. 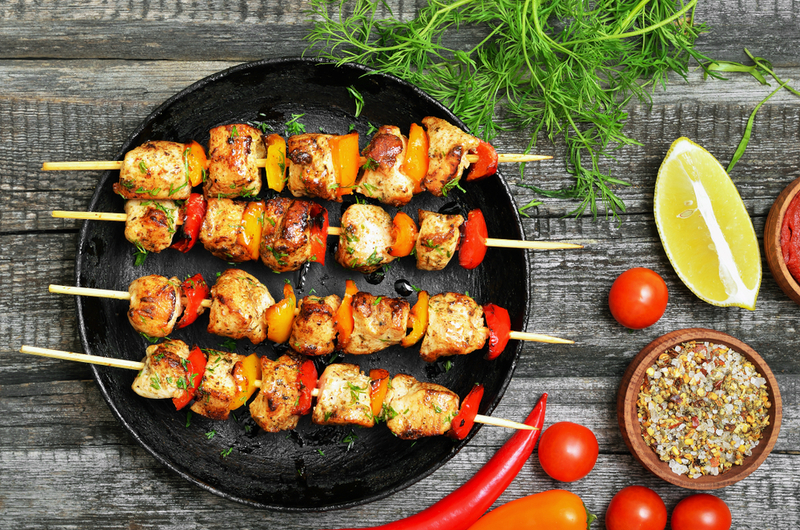 In every occasion these wonderful, delicious and easy to make Greek style chicken kebabs will become your favourite summer dish. Don’t forget to accompany them with our famous yoghurt dish, tzatziki! This entry was posted in Around the Greek table, THE ART OF LIVING WELL / and tagged chicken, street food, Summer on 22 June, 2018 by George Papageorgiou. 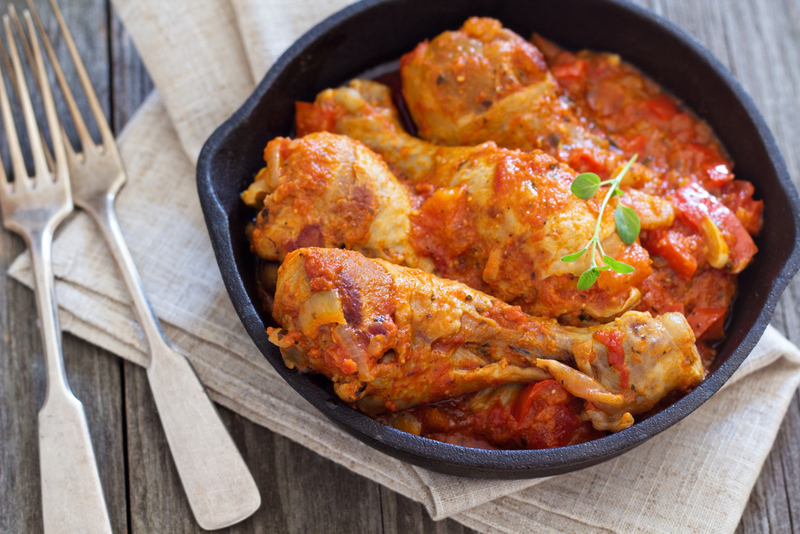 This is a delicious dish, very popular thanks to the presence of red peppers. For this recipe we only use horn shaped red peppers known as Florina peppers, mostly cultivated in the Northern region of Florina, thus the name. They’ve got an intense, sweet flavor which makes every dish they’re used in so delicious. This entry was posted in Around the Greek table, THE ART OF LIVING WELL / and tagged chicken, comfort food on 26 September, 2016 by George Papageorgiou. 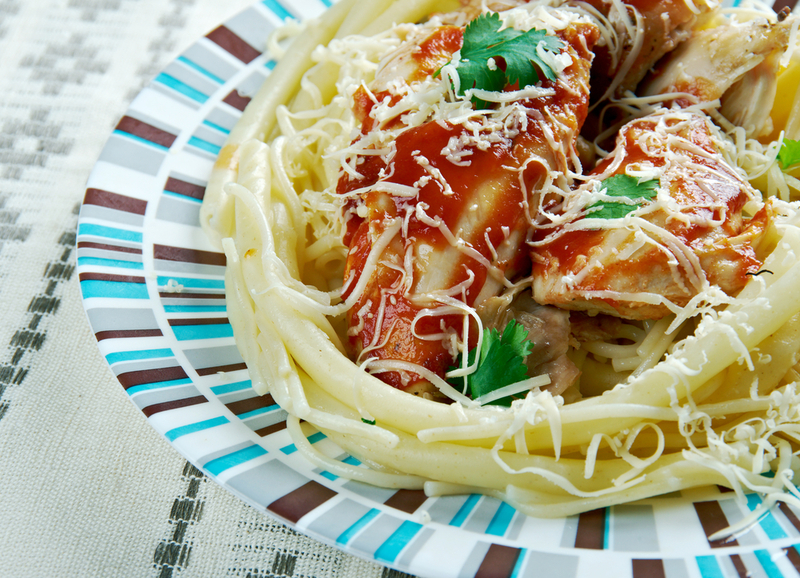 “Pastitsada” is the term we use to describe pasta sauces as they make them in the Ionian island of Corfu. Rich sauces with bold flavor, they are extremely delicious and a wonderful Sunday dish that everyone will appreciate! This entry was posted in Around the Greek table, THE ART OF LIVING WELL / and tagged chicken, comfort food, meat, pasta, tradition on 22 February, 2016 by George Papageorgiou.